With exhibits ranging from dinosaurs to the secrets of ancient Egypt, the Las Vegas Natural History Museum offers visitors a chance to step back in time. 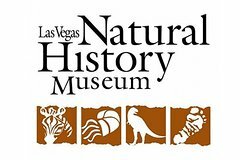 Located in Downtown Las Vegas, the Las Vegas Natural History Museum offers a variety of exhibits and sometime away from the casinos. • Treasures of Egypt - Explore how archaeologists in the early 20th century unearthed some of Egypt’s most renowned treasures, including the tomb of Tutankhamun. The exhibit includes a trip through the realistic entrance to Tut’s tomb and the opportunity to view artifact recreations of best-known pieces including the Golden Throne, chariots, the Golden Shrine and outer sarcophagus. • Engelstad Family Prehistoric Life Gallery - see a 35-foot long Tyrannosaurus rex that lowers its head and roars at them! A Triceratops, Ankylosaur and a ferocious raptor give a further glimpse into the past. Also represented is the Ichthyosaur, a gigantic marine reptile that swam in the waters of Nevada during the time of the dinosaurs. • Dinosaur Mummy CSI: Cretaceous Science Investigation - this one of a kind exhibit showcases the science and technology used to unlock the secrets of the world’s most preserved dinosaur in the flesh, the Dinosaur Mummy, Leonardo! The 23-foot-long plant eater from the late Cretaceous period was naturally mummified before it was turned into a fossil. It provides researchers with an extremely rare glimpse of skin texture, muscles, internal organs and the remnants of the dinosaur’s last meal. • Marine Life Gallery - Live sharks and stingrays occupy a 3,000-gallon tank while other colorful and fascinating creatures from the deep occupy additional jewel tanks. There are also life size recreations of various species of sharks and fish. In addition to our marine life, the museum is home to many terrestrial animals including Burmese pythons, tarantulas, scorpions, snakes and lizards. • Gary & Matthew Primm African Savanna Gallery - this exhibit showcases the breathtaking beauty of southern Africa, featuring a watering hole scene and predator-prey relationships. • African Rainforest - this exhibit features the diverse life found in an African jungle. With the push of a button, visitors can see and learn about the animals hidden in the trees and thick brush, and experience a thunderstorm with rain and lightning. • Geology Gallery - The Museum's Geology Gallery explores breaking science news, the phenomenon of fluorescent minerals and geological natural resources. • Prehistoric Mammals Gallery - Discover bizarre characteristics of ice age beasts including Smilodon (saber-tooth cat), a giant ground sloth, and more. See real prehistoric camel and mammoth fossils discovered here in Las Vegas. • E. L. Wiegand Foundation Wild Nevada Gallery - The Wild Nevada Gallery draws you into the scenic but rugged beauty of the Mojave Desert.